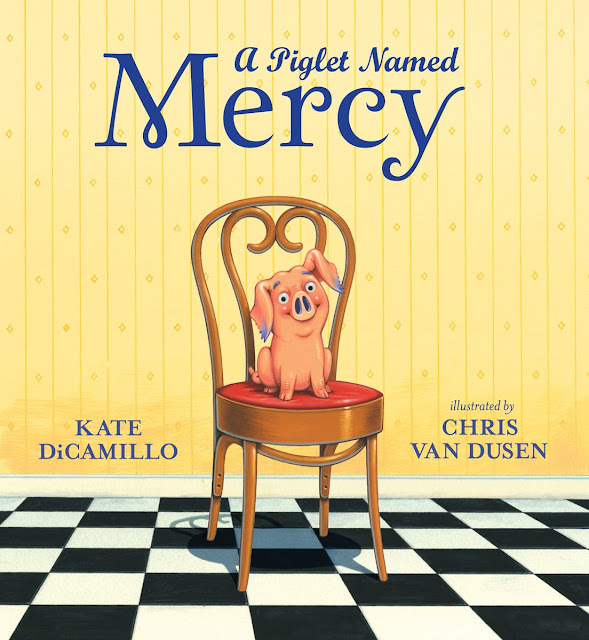 Mr. Schu: Thank you for introducing readers to Mom, Dad, Ben, Dizzy, Rocco, and Lulu. Oh, and let’s not forget about the squirrels, ants, and birds. What planted the seed for The Simples Love a Picnic? J. C. Phillipps: It all started with the art. I was making collage illustrations for Illustration Friday (a website that gives weekly prompts like “burst” and “balance”) and the figures I made at the time were very simple. Dot eyes. A line for a nose. Hot dog shaped arms. I did four different illustrations and I liked them so much I started calling them my “Simple People” series. When I needed inspiration for a new picture book, I went back to the Richard Scary Busytown Books that I adored as a child and I saw how the bulk of the story happened on a journey. So I thought I could take my simple people and send them on a simple journey – a picnic – and see how many crazy, silly things could happen along the way. Mr. Schu: Where’s your favorite place to have a picnic? What would we find inside your picnic basket? J. C. Phillipps: I love a good garden. I'm not much of a gardener myself, but I love a well manicured, planned-out, bursting-in-bloom garden. I live near a beautiful rose garden in Hartford's Elizabeth Park, so I would definitely picnic there. My husband and son could play frisbee while I dip into my basket and pull out ... tunafish sandwiches, raspberries, and chocolate chip cookies. If I could eat cheese, I'd want some cheese in there, too. Oh, how I loved cheese. If it's a real picnic – no cheese. If it's a dream picnic – cheese galore! Mr. Schu: Please tell us about how you created the illustrations. Mr. Schu: Scenario: You’re in an elevator with a group of enthusiastic teachers and librarians. They ask you to tell them about Monkey Ono and Wink: The Ninja Who Wanted to be Noticed. You have about thirty-five seconds to deliver your elevator speech. J. C. Phillipps: Monkey Ono is about a little stuffed monkey who's desperately trying to get to the beach via a variety of Mission: Impossible type schemes. Wink: The Ninja Who Wanted to Be Noticed is about a boy that's so full of energy and enthusiasm for the things he can do, that he simple cannot contain himself. I think both books appeal to high-energy, creative kids who love a good laugh. Picture books are mini art museums. The art I see in pictures books today is some of the most compelling art I've ever seen in my life. Reading is like going on a vacation with your friends. It's great to finish a day of work and travel to 19th century England to hang with your gal pal Elizabeth Bennett and gossip about that stuck-up Darcy dude. 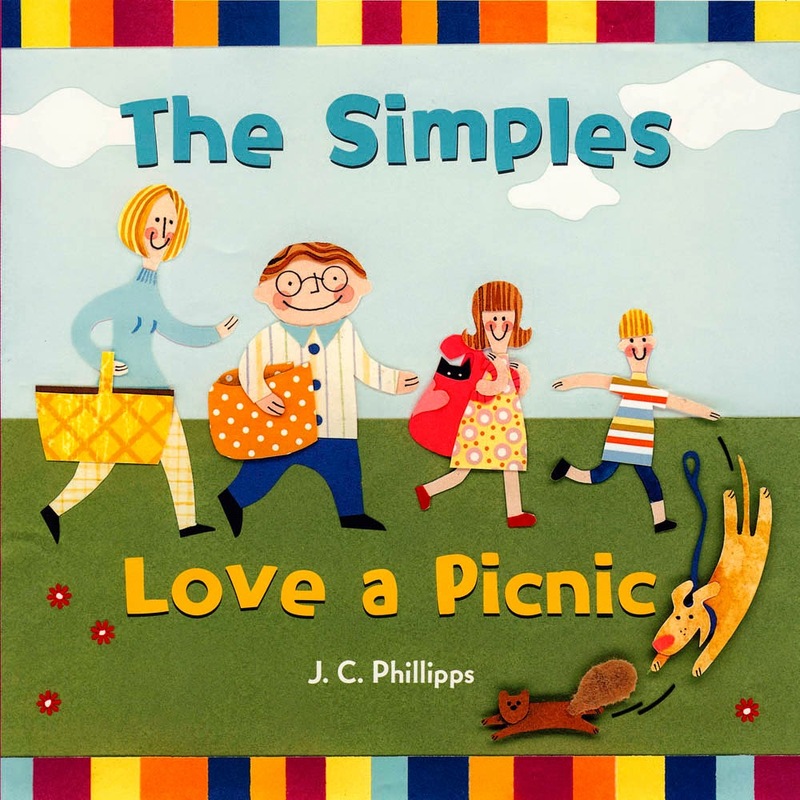 I am giving away one copy of The Simples Love a Picnic. 1. It will run from April 4 to 11:59 p.m. on April 6. The Simples Love a Picnic will be released on April 8, 2014.